Every now and then I come up with a new idea of a website and brainstorm to find a good brand (domain) name for it that is not already taken. Then I buy it, get busy, and did not have the time after that to do it. But anyways, what if I want to know how many type-in traffic I am receiving to all these domains? Of course I could create a Google Analytics account and embed its tracking code and keep an eye on the traffic. However, that does not seem convenient if you do not have much traffic that worth monitoring them in a separate account. Or, if you have hundreds of these parked domains, and it would take forever to create (and keep an eye on) separate Google Accounts. Creating a Google Analytics account for a parked domain is also impossible if there is no page at all, and the domain is 301 redirected from the DNS to another site. So, I believe the easiest and fastest way to track all parked domains is to use DNS redirections and UTM tracking. Identify the destination page (It could be a used site that you want to redirect type-in traffic to it, or a sandbox site that you will use as a pool to collect all parked domains traffic stats. Fill in the ‘campaign source’, ‘campaign medium’, and ‘campaign name’ fields with whatever labels you prefer. I used ‘redirection’, ‘301’, and ‘forwarded_parked_domains’. Now, copy the generated URL and paste it in your DNS section of Domain forward. What is The Future of Web Analytics? Wondering what's the future of web Analytics? Always asking why a visitor to my website clicked on this link? or why stayed that long on this specific page? or abandoned the shopping cart at that specific stage? Maybe the answers to all these questions can be found in that new little device, that will add a totally new dimension to the Analytics equation... Emotions!!! PND is developing PND Wearable - a "personal neuro device" that gathers information on the wearer's moods, emotions and health. This new device will be attached to Google Glass (The inevitable wearable in the near future). The device itself has many functions (What I like most is using one's brain signals to control a mobile game with hands free). 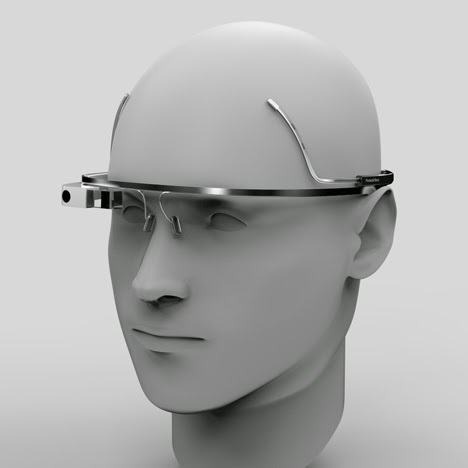 But in the future's future when everybody will be wearing this little device to track their emotions, and when they browse any webpage with their Google Glass, the Neuro Device will send their neuro signals to it and eventually to Google Analytics. Not Just Online, But Offline too!! Let's say a person goes to Walmart and geolocation recognizes this, with geolocation features, that person could receive ads to his Glass about new Walmart promos, when clicked the visitors data (and his emotion) will be stored and analyzed. In statistical analysis, a cohort is a group of people or subjects who all share some time-bound event, characteristic, or experience. For example, shoppers who visit an ecommerce site for the first time on January 30, 2015 could be said to be a cohort since they have a shared characteristic — they visited for the first time — and the experience was during the same time period, Friday, January 30. Cohort analysis is, perhaps, most useful when two or more cohorts are compared. This comparison lets marketers and analysts see the relationship between the two cohorts over time. The Analytics’ cohort report can be configured around cohort type, cohort size, metric, and date range. Cohort type. At the time of writing, the only available cohort type was acquisition date, thus one could look at how folks who visited the site on a particular date behaved over time. Cohort size. This report attribute may be set to day, week, or month. In the email example above, each cohort was defined by folks who registered in January. It may be the case that if Google added additional cohort types, it would also expand the list of available cohort sizes to include other sorts of dimensions. Metric. This is simply the thing one wants to measure. Presently, metrics include conversions per user, page views per user, sessions per user, user retention, goal completion, conversion, and more. Date range. The relative date range for the data to be displayed. The cohort analysis can also be run across segments. As an example, one could look at the average session duration for visitors on mobile devices versus visitors using desktop computers. Or cohorts could be based on new visitor acquisitions the week before Christmas 2014, the week including Christmas, and the week after. This example shows session duration for three cohorts. Doing this analysis, we might learn that visitors using desktop computers generally spend more time on site than do visitors on mobile devices and that this effect is even more extreme during the week before Christmas. How to Make The Analytics ROBOT to send virtual traffic To Any Site or Track Visits to Your Physical Rooms!!! Ever wondered how traffic bots work? How come you put any URL in this simple app and you receive thousands and thousands of hits (seen on Analytics) with any parameters or metrics you like. You can identify which pages receive the traffic, session duration, used device, screen res., even IP, medium, source, etc. So you can actually see in your traffic reports on GA that you've received your traffic from CNN, NY Times, Yahoo, or even Google. The way such traffic bots work is very simple and straightforward and can used to trigger traffic signals from almost anything. YOU CAN TRACK YOUR HOME VISITS WITH GOOGLE ANALYTICS and see how many rooms are visited the most!! Thanks to the global reach of the internet, website localization is one of the best things you can do to increase website conversions. By creating a culture- and language-specific version of your website for each demographic market you target, you become a truly international business. All businesses, even small online retailers, can benefit from localization. In fact, you can’t afford not to have localized websites, and here are 20 reasons why. 1. It offers global expansion and increased reach. Although English is still the predominant language online, other languages, most notably Chinese, Spanish, French, and Arabic, are quickly closing the distance. Offering web content in additional languages and cultures helps you increase your reach and become a respected international business. 2. Localization helps you appeal to multicultural audiences. Translation helps international visitors find and buy from you, but it doesn’t consider cultural differences and sometimes doesn’t convey your message or brand very well. Localization includes both cultural and linguistic concerns, helping you reach audiences in different cultures much better. 3. It increases web traffic. Search engines rank websites with localized versions or pages higher than non-localized websites and return your website as a result more often. On top of that, local sites are more likely to link to you when you provide information in the local language. Increasing traffic is one of the three most important things you can do to boost revenue, and more traffic means more sales. 4. You get more traffic from regional and language-specific search engines. These smaller search engines have much less competition because they’re small and most businesses don’t have localized websites to appear in results. This means it’s much easier for your localized websites to rank higher than your English website. The higher you rank and the more often your website appears in search results, the more traffic and sales you get. 5. Localization increases brand recognition. When you translate your website into the language and culture of your target market, you show that you respect and value your audience. They in turn are more aware of your business than your English-only competitors because they see your website more often and more easily understand your message. 6. Localization increases website stickiness and sales. Having a strong localization plan boosts your presence and sales in a targeted area, such as localizing in French and German to increase sales in Europe. Multiple studies have found that when users are presented with a website in their native language, they stay on the site twice as long and are four times more likely to make a purchase from it. 7. It increases overall ROI. Increased traffic, conversions, and brand awareness also leads to increased trust, credibility, customer loyalty, and satisfaction, in turn leading to more conversions. Localization is also scalable for both your audience and your budget, delivering huge benefits for only a marginal additional cost. 8. Localization maintains low printing and content distribution costs. Localizing your website increases reach without raising these costs a few ways. First, you can reuse much of the same content across multiple languages; second, translating your website into a new language and culture is scalable; finally, having a web presence costs the same no matter what language or culture. Having a localized website may also eliminate the need for direct mail such as catalogs and brochures in various languages. 9. It is a cost-effective virtual branch office or satellite location. Instead of building a brick-and-mortar store or renting an office in an international location, your localized websites become those virtual stores by offering information, products, contacts, and everything else you can deliver digitally. 10. Localization lowers customer support costs. By answering questions and providing information in a target market’s native language and culture, you give customers what they need online in the best format for them, which reduces the need for multilingual phone and chat support. 11. It allows you to target minorities in your own area. Many countries have large subgroups with their own languages, cultures, and skyrocketing purchasing power, such as the Latino market in the USA. Creating localized websites for these groups helps you solidify your presence and boost sales in your own area. 12. Localization maintains brand image and voice across cultures. The problem with straight translation is that it doesn’t consider cultural differences and doesn’t always maintain your branding message. Localization is better than translation because it considers communication, sales incentive, design, layout, and programming specific to each culture and area, so you don’t lose the integrity of your brand across languages. 13. You become a local business. Localizing your website turns you into a local business, which boosts conversions because many people want to buy locally, you get more traffic from local keywords, and you have an easier time building brand awareness. 14. Localization makes your local marketing stronger. When you have a website specific to a certain area’s language and culture, your local internet marketing efforts (including search engine optimization, directory listings, and social media) benefit from having a local resource to point visitors to. 15. It makes you more trustworthy and credible. By using the area’s local slang, idioms, metaphors, and figures of speech, you can communicate with your target customers more easily and directly, reducing confusion and boosting your own reputation. 16. Localization appeals to more customers. Most web users don’t buy products online in a language other than their own. By offering them that option, you attract more prospects and close more sales. 17. It means fewer abandoned carts. Programming can be as much a barrier as language or culture. Localization includes proper programming to prevent backend problems such as forms that make it difficult to input personal and payment info. Fewer problems means more closed sales and higher average order value. 18. Localization makes payment easier. When you enable local credit cards, shipping and tax codes, and buying practices, your localized websites attract customers that would shop elsewhere otherwise, boosting your ROI, conversions, and revenue. 19. It increases local sales. Offering products, support, FAQs, and other information in your customers’ native languages makes them more likely to buy from you because they have all the information they need in a format they understand to make an informed purchase. Most consumers care more about language than price. So even if they know they can find a product cheaper somewhere else, they are more likely to buy from you at full price if you have a localized website for them. How to know where your visitors go when they leave your website? How can I see which specific pages/URLs people visit after leaving my site? In other words, I can see the percentage of people that EXIT on a certain page, but I want to be able to see which links on an exit page they follow (i.e. what percent of the visitors to a certain page of our site click on each outbound link on our page)? Or are they just leaving our site without necessarily visiting an outside site we've linked to? Will show up in Google Analytics as a page view. You can customize your Google Analytics tracking code to find out when users click outbound links, or links that take users to a website other than your own. This article gives you an example of how to set up outbound link tracking. This is a two-step process, and you need to follow both steps complete the process. Event tracking is a way you can track user interactions that aren’t automatically collected by the Google Analytics tracking code snippet, including clicks to outbound links. 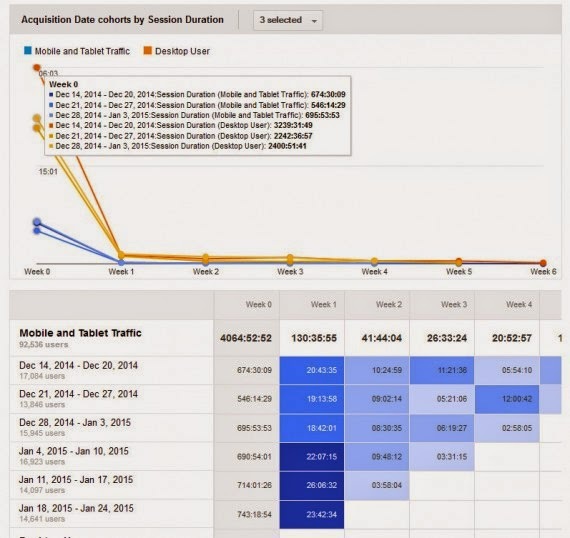 Learn more about Event tracking. You can copy and paste the example below into your own pages to set up Event tracking for outbound links. We recommend you put this script in your page headers, but not within the basic Google Analytics tracking code snippet. When you set up an Event, you must define values for the Event components. The Event components define how the data appears in your reports. In this example, the Category, Action, and Label are defined (in bold). You can use these values, or change them and define your own values. Learn more about Event components or refer to our Developer Guides for more technical information on the Event tracking. The changes you need to make to your web pages depend on which tracking code you’re using. See if you have Classic Analytics (ga.js) or Universal Analytics (analytics.js). 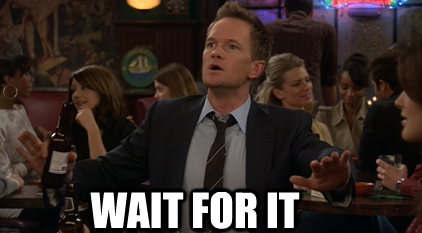 * Function that tracks a click on an outbound link in Google Analytics. * as the event label. After you have Event tracking set up (Step 1), you must also add (or modify) the onclick attribute to your links. 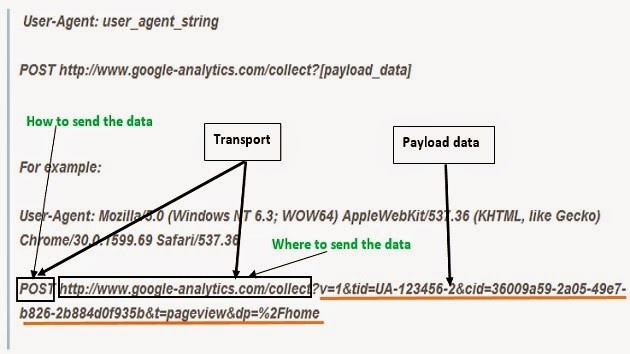 This is how data from a specific link gets sent to Google Analytics. For more information on how this works, refer to the hitCallback reference in our Developer Guides. This tutorial describes how to track outgoing links using the NEW Google Universal Analytics.js code, commonly called Analytics.js or UA. If you are using the OLD ga.js code click here. This guide describes how to track outgoing links using Google Universal Analytics or commonly known as Analytics.js - the NEW (since late 2013) tracking that Google provides it's webmasters. ... then you are using the NEW Analytics.js code and you can continue reading below. Since Google introduced the Asynchronous Tracking method, one of the most common questions is: "how do I track outgoing links"? The solution is quite simple, one has to track outgoing links as events (found in Google Analytics under Behavior - Events). The problem however is that it does not always work for everyone, the reason being that events are only recorded once a link is clicked. If that link takes you away from a page (such as an outgoing link in the same window), that tracking event often does not have time to register with the analytics server before the new page starts to load and the tracking request cancelled. In order to ensure that tracking is done properly, we either have to ensure that the target window is a new window (eg: _blank), or delay the opening of the link by about half a second, giving your browser enough time to register the event and load the tracking url. If no, register the track and delay opening the link by half a second, then proceed to open that link. What this will do (when clicked) is track an event called "outgoing_links" as "outgoinglink.com". This means that in your Google Analytics account, which has an "Event Tracking" section, you now get a category called "Outgoing Links" containing an action (and total recorded) of outgoing links. Please note the target="_blank" as this ensures your web browser is kept open and the event is able to register. The Google Analytics team recently released a Chrome Extension that allows you to get detailed information about each page of your website while you browse it. Below I will go through some of the extension's features and how to use it to get a better idea of what is going on in your website. In order to use the extension you will need any kind of Google Analytics permission to the website you are analyzing, a Chrome browser and the Extension (download here). Once you have those three, you can click on the Google Analytics icon on your browser while browsing your website (the icon is usually found on the top right corner of the page). Below is the extension's interface map with all its functionalities followed by an explanation of each. The Page Analytics Chrome Extension allows you to see how customers interact with your web pages, including what they click and don’t click. Use these insights to optimize your website layout, improve user experience, and increase conversions. When you view a web page for which you have Google Analytics access, you’ll see: Google Analytics metrics: Pageviews, Unique Pageviews, Avg time on page, Bounce Rate, and %Exit Number of active visitors, in real time In-page click analysis: (where users click) You can use the Google Analytics date comparison and segmentation tools directly in the extension. Pages you are tracking with the Google Analytics code for an account your Google account login has access to will appear like this in your Chrome browse. How to allow visitors to your site to hide their data from Google analytics? -With a browser Add-on! If you want to opt-out, download and install the add-on for your web browser. The Google Analytics opt-out add-on is designed to be compatible with Chrome, Internet Explorer 8-11, Safari, Firefox and Opera. In order to function, the opt-out add-on must be able to load and execute properly on your browser. For Internet Explorer, 3rd-party cookies must be enabled. If you want to opt-out, download and install the extension for your web browser. In order to function, the opt-out extension must be able to load and execute properly on your browser. Let your primary conversion target dominate the page. Test using an impactful and contrasting photo as your hero shot, and mirror the palette choice and contrast levels on your CTA (Call 2 Action) to draw a parallel and guide the visitor from the emotional element to the conversion goal. Use photography of people or animals on your landing page and have them stare directly at your CTA with either the angle of their head or their eyes (in a closeup). Go a bit punk and try something radical on your landing pages. Use strong dynamic shapes to constrain your points of interest. Call attention to your most important page elements by using strangely placed and angled arrows. Tie a sequence of arrows together to define a path for the visitor to follow, ending at your CTA. Design converging lines to draw people to your Call To Action. Triangles are the most dynamic of all shapes, and their natural tendency to point make them a special design tool (in the same way that an arrow is a more intricately designed pathway). As a blogger (Publisher) you want to notify the cyberspace about your new blog post, first to get it crawled faster, and second to avoid your article being stolen by another Blog and it gets crawled and ranked before you do. That is when PubSubHubHub comes in handy as it sends realtime notifications to blogfeed hubs when you update your blog. A simple, open, server-to-server webhook-based pubsub (publish/subscribe) protocol for any web accessible resources. Parties (servers) speaking the PubSubHubbub protocol can get near-instant notifications (via webhook callbacks) when a topic (resource URL) they're interested in is updated. An resource URL (a "topic") declares its Hub server(s) in its HTTP Headers, via Link: <hub url>; rel=”hub” . The hub(s) can be run by the publisher of the resource, or can be acommunity hub that anybody can use: Google's, or Superfeedr. A subscriber (a server that's interested in a topic), initially fetches the resource URL as normal. If the response declares its hubs, the subscriber can then avoid lame, repeated polling of the URL and can instead register with the designated hub(s) and subscribe to updates. The subscriber subscribes to the Topic URL from the Topic URL's declared Hub(s). When the Publisher next updates the Topic URL, the publisher software pings the Hub(s) saying that there's an update. The hub efficiently fetches the published resource and multicasts the new/changed content out to all registered subscribers. The protocol is decentralized and free. No company is at the center of this controlling it. Anybody can run a hub, or anybody can ping (publish) or subscribe using open hubs. Google and Superfeedr offer a public and scalable open hub for anybody to use. How to Use PubSubhubhub with your feeds? The above is covered in more detail in the PubsubHubbub 0.4 specification. 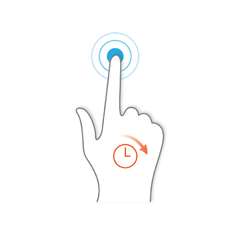 If you are a WordPress Blogger and wants to Ping the hub easily, there is a Plugin for that. Have you heard of the term Dwell time before? How about 'long clicks' Vs. 'Short Clicks' ? Google pays very close attention to “dwell time”: how long people spend on your page when coming from a Google search. This is also sometimes referred to as “long clicks vs short clicks”. If people spend a lot of time on your site, that may be used as a quality signal. Knowing that, it is very important to focus on the quality of the presented content. It has to be informative, exciting, and engaging. You should also pay a lot of attention to Navigability and user experience on the site. Google Analytics is a great help understanding all such metrics as you do not need to lose your rankings because of the traffic you get; once you lose that, you will have neither. 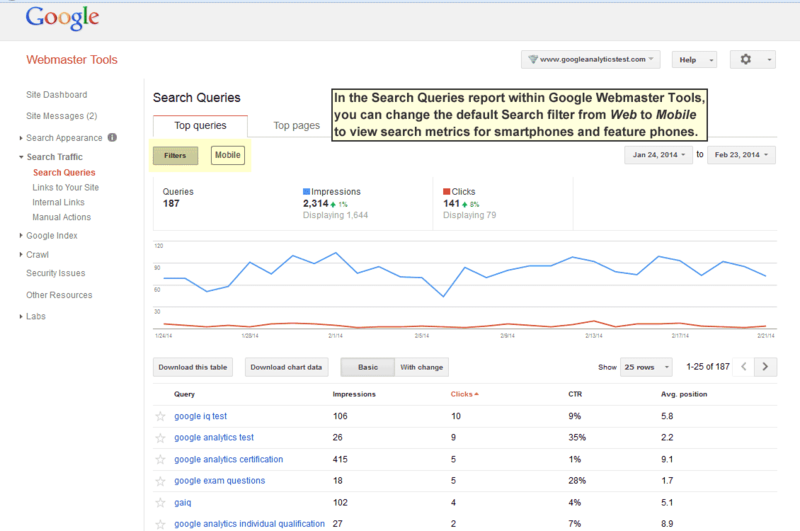 Here is how To know which search terms your visitors used to find your website from their mobile phones, by changing the Search Queries report from the default Web filter, you can display impressions, clicks, click-through rate, and average position for your keywords as they appeared in Google search engine results on phones. Get in-Depth Insights On which Products Your Customers Want but you don't Sell! Do you want to know which products your visitors are looking for but you do not have them in your store because you don't know about such a demand??! A very valuable piece of information is the list of terms that people search for that brings back zero matches. Here you've really blown it with your customer, and you’ll want to see this information so you can improve the experience in the future. Your site’s internal search engine probably provides reports on searches with no results, but using Google Analytics' Event Tracking can be a simpler method with a one-time setup for a one-line code. Note that it is important that [Searched Phrase] is replaced by the actual search string your user used. Otherwise your reports will be of no use to you. Also note that in this case, the Non-Interaction variable is set to True. This means that if this is the only page the visitor is seeing, it will result in a bounce. And that makes sense because the No Results page was not helpful to them. You may ask a client, supplier, blogger or whatever to add a link to one of your pages to get some link juice or referrals, but they may do a typo and add a wrong link URL to your site that when clicked it ends visitors up on a 404 not found page. So, how can you know those bad links?! · "url=" will catch the URL which a visitor attempted to access. · "ref=" will catch the referring page. 2- Another way is use Raven's GA Config tool. Simply add your GA account number then copy the Google Analytics tracking script just before the </head> tag on your 404 page (not your entire website). Good News: Now You Can Manage up to 100 Sites From Your Analytics Account. 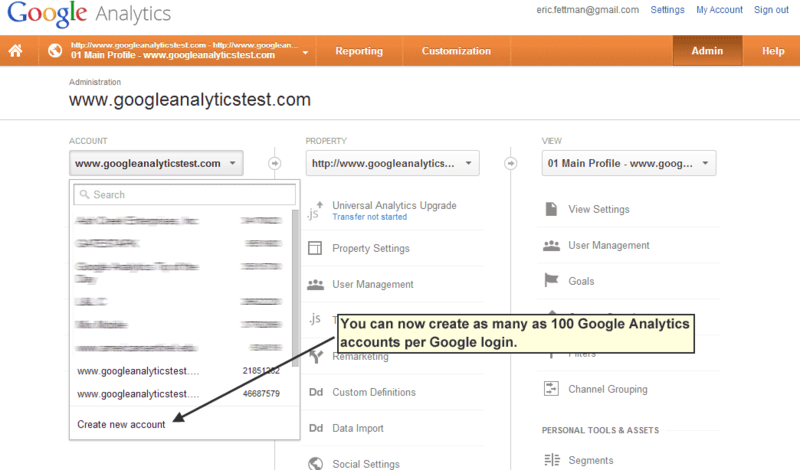 Google have just raised the number of Analytics Accounts you can manage from your account to 100 after it was limited to only 25. If you still have to go beyond this limit, you can always ask a third party (such as the owner of the website that you need to track) to create the Google Analytics account under his/her login and then just provide you with full administrative access. If you’re granted all four access levels (Manage Users, Edit, Collaborate, and Read & Analyze), you’ll have identical privileges to the account creator. You can also create another Google login, which would allow you set up an additional 100 Google Analytics accounts, but it’s not considered best practice to fragment your Google Analytics accounts among multiple logins. The new Google Algorithm is now giving a high leverage to backlinks from Social Media (i.e. Social Signals). It could be likes, shares, comments, views, subscriptions, pins, retweets, etc. I found this method in a post by Justin Cutroni, a notable author of many Analytics book. It details a way to measure your website’s rank for certain keywords by installing custom code. It requires that you have Google Analytics installed on your site and a little programming knowledge (or at least the knowledge of how to place the code). This method uses custom code and Google Analytics events to collect and report on keywords that people used to find your site. Note that the above section of code will only pull keywords from referring URL’s from Google Organic search. All of this code goes AFTER your standard analytics tracking code which should be installed in the head of your web pages. Tracking events is pretty simple once you understand how to do it. These are user actions that can be tracked separately and they include things as simple as a click on an external link to downloads or video views. Events are a great way to track extra things on your site that might otherwise have no data collected about them. Using event tracking is a preferred method over tracking virtual pageviews. When you set up events, each one will have 5 parts. 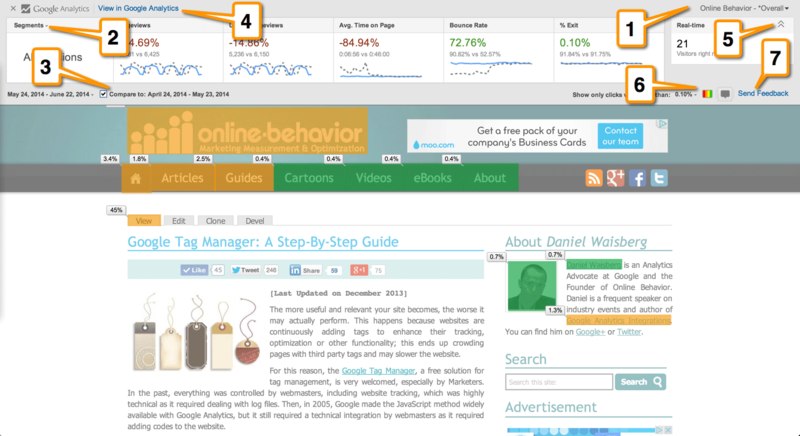 Category: In the snippet above, the Category is called RankTracker. Note that this can be called anything you want, just be sure and change it in your code snippet before installation. This is how you will identify data in your analytics reports under content -> events -> top events. If you change it, just remember to make it unique and something that will be easy for you to identify later. Action: The action in the code snippet above is KeyWord. Label: In the snippet, this is the “p” in the snippet above and identifies the landing page. Note that this value is optional. You can use it to provide additional information about the event. In this case it may be helpful to know what page a visitor landed on to see what pages are ranking for specific key terms in search. For instance maybe you are optimizing a certain page for a particular keyword. The label will help you identify your progress. Value: In the snippet, this is the SERP rank. The rank of the search engine result will be recorded as the value of the event in your reports. This is a truly innovative technique as it gives you real data about the keywords that are driving people to your site through organic search. One thing you have to remember is that this only works when people are visiting your site through organic search. If you don’t receive a lot of organic search traffic, you may not get much use out of the code. If you had to install the basic analytics tracking code on all pages of your site because you aren’t using a template or any kind of include file, you will have to do the same with the code snippet to track keywords. Have Results SEM Blog - Mina Adly Younan - All Right Reserved - 2014. Powered by Blogger.